When did you move to Grosmont? I came across the village by chance probably 36 years ago, when I was working and living in Abergavenny. I fell in love with the place and decided one day I would live here. A couple of years later, I had arrived! We found this house through word of mouth – the owners weren’t going to put it on the market until the spring and we got in first. It’s quite unspoilt. It’s pretty but not chocolate box. The old and the new houses sit quite well alongside each other. There is not one style of architecture and the different styles integrate well. The main part of the village still looks like it has for a long time. And it’s a proper, lived-in village and still part of a working, farming community. For you, personally, what’s the best thing about living there? I come from Lancashire, where there is quite a strong sense of community and this has got the same feel. Even though many people work away, it has that sense of belonging. For me, that was something that was instantly apparent. It has a real heart. I firmly believe that you have to invest in somewhere to get something out of it. We moved in on the Thursday and on the Sunday we went to church and met people and so the next time I walked down to the village, people would say hello. Generally speaking, it is not the sort of place where people will knock on your door with an apple pie as soon as you move in but if you show you want to be a part of village life, you are. It’s not a problem for daily life, but if there are events which attract visitors, there isn’t a lot of parking in the village. And there is no regular bus service, so that can be a problem for older people because you have to drive everywhere – although the supermarkets are very good at delivering groceries these days and there is a handy Post Office and store in the village. It’s also a drawback for families with teenage children who have to accept that they will need to be a “taxi”. Otherwise, it is a good place to bring up a family? Oh yes. There is a particularly good primary school in Cross Ash and a bus collects children from the village. Describe the vibe in your favourite local pub… The Angel is our local village pub, the place to meet friends and neighbours. It’s lively and well-supported. The food is good – their pies are to die for and the Sunday lunches are excellent. They do a range of “specials” on the menu and also have themed evenings. There’s often live music and in the pub garden there’s a piste where the boules team play in the summer. So that’s your go-to for a casual meal out? Yes, every time, especially if I want a drink as I don’t need to drive home. What if you were celebrating a special occasion? I’d be spoilt for choice. We are in a restaurant triangle here, with 1861; The Hardwick; The Walnut Tree and The Bell at Skenfrith all easily accessible. I might also go to The Kilpeck. Where do you go for a spot of “culture”? 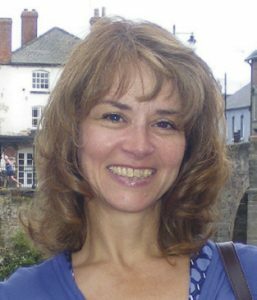 That could be anywhere from Bristol and Cardiff to Stratford-upon-Avon – I have gone to the theatre there and back in a night, although sometimes I stay over. Hereford, Abergavenny and Monmouth are all an easy drive from here. I quite often shop in Cwmbran and Cardiff. Cribbs Causeway near Bristol and Cheltenham are all accessible too. What leisure pursuits do you enjoy locally? Walking and running. We are surrounded by superb walking countryside and I am a big walker. A favourite walk is the 20-mile Llanthony horseshoe! There’s quite a lot going on. The weekly walking group, Grosmont Walkers, go out every Thursday. I occasionally join them and recently I led a seven-mile walk for them up the Graig, staring from the village. It was quite vigorous walking and steep in places. 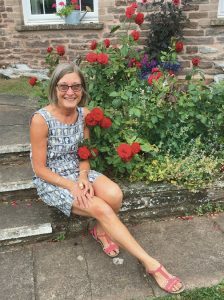 For those who prefer something less strenuous, a book club meets once a month and there’s also a craft group which I go to and which meets twice a month – it’s really an excuse for a good natter and a catch-up. Then there are occasional coffee mornings and concerts in the church and there’s a local choral group, The Kitchen Singers. We have a town hall (Grosmont used to be a borough so it’s a town hall rather than a village hall). There’s a small meeting room upstairs. And then the church is a huge space for events and get-togethers. 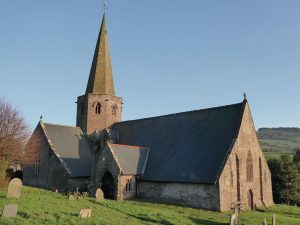 The Victorians portioned off the chancel, which is used for services, and the grand, medieval nave is a community space. The acoustics are fantastic for concerts and it is also used for ceilidhs and candlelit suppers and a quarterly farmers market. The nave is also very popular as a wedding venue. You can get married in the chancel and have the reception right alongside! We held my daughter’s wedding there. Apart from the wedding, what’s one of the best events you have attended in the village? At Christmas we have a Nativity Live, involving adults. It starts at the top of the village and as they process down, Mary and Joseph and the donkey are joined by the shepherds and the Wise Men. They go to the pub where they are told there is “no room at the inn” and then everyone ends up in the church nave and the youngest baby in the village plays Jesus. It’s a tradition which has been going on for 15 years or so. How would you advise someone moving into the area to really get to know the place? Read the noticeboard on the side of the town hall to see what’s going on and pitch up! And go to the pub. Tell me one fascinating fact about your village that you don’t think is generally widely known. Grosmont has ancient associations with the red rose, which go back to before the Norman Conquest. It’s said it could be the origin of the Red Rose of Lancaster. In 1267 King Henry III granted the castle to his second son, Edmund Crouchback, who was 1st Earl of Lancaster and who chose a red rose for his emblem…. 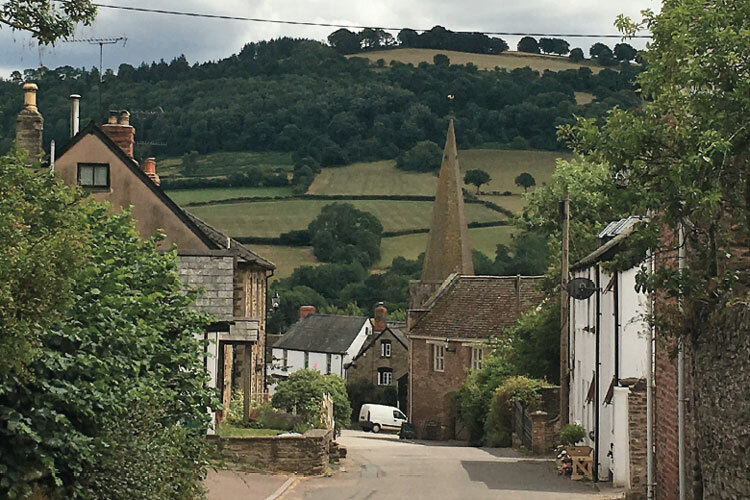 The hilltop village of Grosmont is set in the north Monmouthshire countryside, almost equidistant from Hereford, Abergavenny and Monmouth. 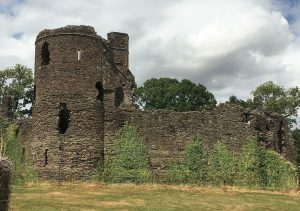 It’s surrounded by stunning scenery and the wonderful walks right on the doorstep include the Three Castles Walk, linking Grosmont Castle with Skenfrith and White Castle. Of Norman origins, Grosmont was once an important medieval market town. Its historic core, centred around the town hall, is now a conservation area. Grosmont’s castle, originally an 11th century timber fort, was rebuilt in old red sandstone early in the 13th Century around the same time as the fine church (also of Norman origin), whose size reflects the importance of the borough in medieval times. Today’s village has a mix of architecture, from small, old cottages to elegant town houses to newer-builds, which together house a population of around 900.